Major League Baseball announced few weeks ago, on Roberto Clemente Day, the names of the 30 finalists for the prestigious Roberto Clemente Award. The award is given annually to the Major League Baseball Player who combines a dedication to giving back to the community with outstanding skills on the baseball field. Among the winners are 13 members of the Hall of Fame and nominees this year feature 13 players selected for the 2009 All-Star Game. And once again you the fans have the opportunity to vote for who you think deserve this coveted award. For Pittsburgh Pirates fans, Clemente’s name live in the nostalgia of great years long gone. Even though he was not present, he would have been proud of Willie Stargell and his 1979 “We Are Family” World Champions. He would have been proud of Jim Leyland’s Bucs from 1990-92. But sitting up there in heaven, he can’t be proud of the club’s 17-year cycle of futility and losing. By the way, that’s a new major league record. This season, they’ve proved to be so bad that the only position player remaining from opening day is catcher Ryan Doumit. I bet Clemente would not be proud of what used to be, from the ’60s to the ’90s, a franchise driven year after year to have in its roster the best Latino players possible. Let’s not forget either that a day like Sept. 1, 1970 Manager Danny Murtaugh made the first all-black and Latino lineup in MLB history. Clemente was batted third in that lineup that beat the Philadelphia Phillies 10-7 at Three Rivers Stadium. Clemente who was a very proud man himself definitely would be very sad to see what have become his once great Bucs whom are inothing great and not even for 2010. Only a light from heaven can give them little brightness for the future. 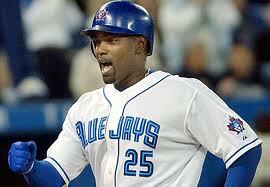 Since the start of the season rumors flew that 2009 would most definitely was Carlos Delgado’ last season in the Big Apple. Even though was considered one of the key players for a pennant run this season, management knew behind the scenes most likely the 37-year-old Delgado, whose contract expires after this season, was not going to be ask to return. For Mets management luckily they have the excuse to tell him goodbye after Sept. 28. Delgado could never comeback from hip surgery and derailed by a right oblique strain. Not withstanding if he makes a comeback in the final weeks and shows his healthy no matter what it is very unlikely he will be ask to be a Met in 2010. Well, no matter if he would not have suffered his setback Delgado would have been a victim anyway. Fred Wilpon, the Mets principal owner, was one of the hardest hit financially by the losses caused by the Ponzi scheme run by his former friend Bernard Madoff. According to various media reports, it have been divulged that Wilpon business, Sterling Equities, lost an estimate $700 million in Madoff’ $65 billion fraud revealed last December. Moreover, it is not clear yet if Wilpon will lose more money in rights if the federal government re-asserts that Citigroup have to withdraw the name from Mets’ Citi Field as part of the federal banking bailout settlement. However Delgado’ fate was not only because Wilpon’s financial distress. Mets management has been closely watching if younger and less expensive Daniel Murphy could replace him in first base. Another choice that has been mentioned is to trade make a trade for San Diego Padres’ Adrian Gonzalez. Due his high-priced tag words is also the Mets will make trades for Luis Castillo and Jose Reyes. As for Delgado, he has said he wants to play in 2010. If he can show he can comeback from injury odds are very likely he will land a deal as a designated hitter in the American League. Nobody be surprise the Toronto Blue Jays bring him back for a year with incentives. Let keep in mind Delgado is a player with strong leadership skills and power hitting. Let be clear if it had not been for his hip injury he was coming from a 2008 season in which he hit 38 homers and 115 RBI. Delgado is hungry career ego. The Puerto Rican All-Star, who wears number 21 in honor of Roberto Clemente, well knows that his shy of 27 dingers to reach the home-run club. That means possible Cooperstown bound. Who will consider Delgado, time will let us know. In two weeks Latinos living in the United States will start celebrating Hispanic Heritage Month. It is the period to recognize the contributions of Hispanics to the United States and to celebrate Hispanic heritage and culture. The observation started in 1968 as Hispanic Heritage Week under President Lyndon B. Johnson and was expanded by President Ronald Reagan in 1988 to cover a 30-day period starting on September 15 and ending on October 15. Every year Hispanic Heritage Month begins on September 15, the anniversary of independence for five Latin American countries–Costa Rica, El Salvador, Guatemala, Honduras, and Nicaragua. In addition, Mexico declared its independence on September 16 and Chile on September 18. October 12, Columbus Day or Dia de la Raza, also falls within this 30-day period. As a Florida resident and a baseball fan and writer, I have to acknowledge that one of the most notable contributions to the Sunshine State is baseball itself. I can write a whole essay about it. However I’m going to keep it short and bring on the best 20 Latinos that have played either for the Marlins or Rays in the major leagues. This season we are watching in both sides of the state two great All-Stars from the Dominican Republic. The Marlins’ Hanley Ramirez is going on with an MVP season and is one month shy from winning his first career batting title in the National League. On the other side, the Rays’ Carlos Peña is on pace to finish the season as the American League home run king.